Skin Care Update: Root & Flower. 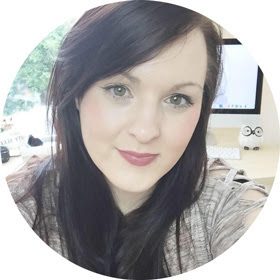 I have discovered new skin care products that make a huge difference to my skin care. Lately I have had really dry, blemish prone skin and tried everything to try and get it to calm down. I have some new products in that have worked wonders to my skin, they are new to me but I am in love. 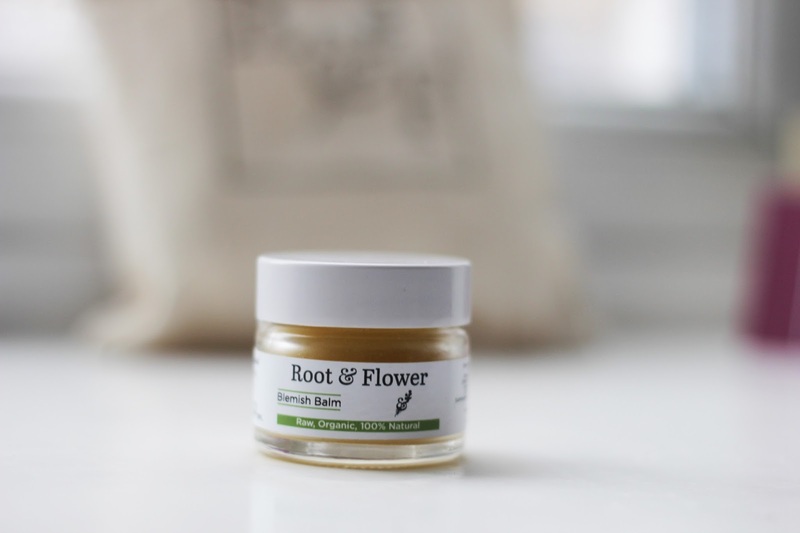 Root & Flower are a Raw, organic, 100% natural brand who trust nature alone to create therapeutic products that can heal, balance, nourish and restore. lets start with first impressions, well what I adore about this brand is the packaging. You cannot beat something that feels amazing because it looks great too. 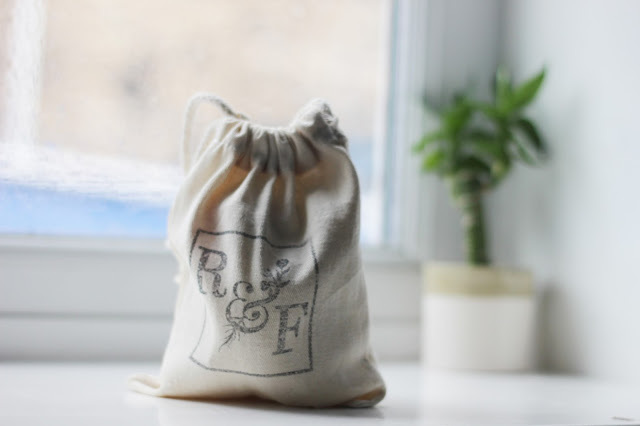 The bag the products come in is simple yet so effective. You could keep the products in here to keep them safe or use it for make up storage in your hand bag. Its great to put travel size products in, the products themselves are small but a small amount goes a long way. less is more with this brand, which is great. Root and Flower formulate their products without water so therefor without the need for chemical emulsifier, chemical preservative or compromise. 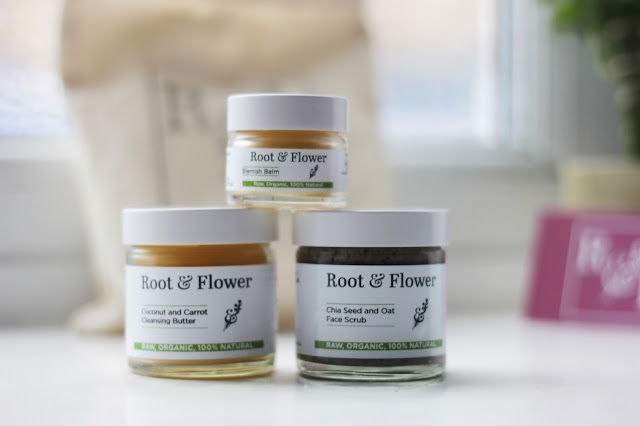 I was contacted by Root and Flower to try out the products, so pleased they reached out. I have been on the hunt for a new cleansing balm, this coconut and carrot cleanser has answered so many skin issues for me. It leaves the skin smooth and brighter due to the carrot ingredient. All you have to do is massage a small amount onto skin to remove dirt, use a warm wet cloth to remove. I tend to use this after I take my make up off then to make sure all dirt is removed I use this. It makes my skin feel amazing and I wake up with a great base to work with for my make up. This cleanser is £20* but I know it is something I will go ahead and purchase myself when this one is finished but a small amount goes a long way so I am hoping it will last ages. I am a huge fan of products with tea tree and turmeric in it, this balm helps fight skin irruptions and helps prevent future break outs. I tend to get a few spots here and there which make it hard to cover up with make up. I am so excited to use this more often, I use this as a last step before I go to bed. A small amount is needed on the area that needs treating, turmeric reduces redness and it is known as 'magic spice' I am excited to keep this in my skin care routine this Winter and I can see myself using this in the summer too. I am obsessed with using new face scrubs but I think this has to be the best, I have used so many other ones before. Yet again and incredible product that leaves my skin soft, fresh and clean. This product uses chia seed to gently remove dirt, dead sin cells and grim deep inside the pores. Chia see is naturally abrasive with powerful anti-oxidants, comes from the word strength. Oats absorb surface grim and dirt effortlessly and it leaves my skin hydrated which this Winter I need. 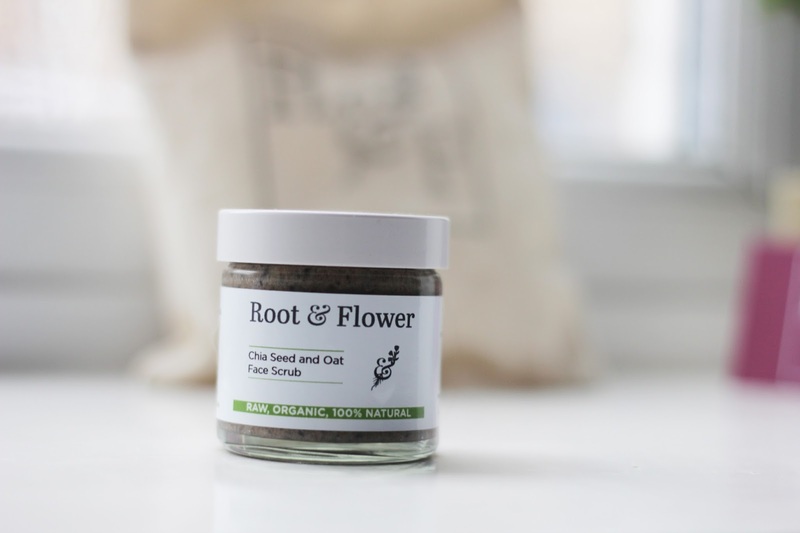 Chia seed and oat face scrub £20* Coconut and carrot cleansing balm £20* Blemish Balm £10* Overall I am very impressed with this brand from the packaging to the ingredients. 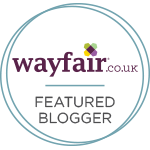 The products feel indulgent and I love how well they work. Natural products which is a change for my skin care and I am loving it. All three of these products work so well together and a small amount goes a long way. I cans see these products lasting me, which is great because I love them. They leave my skin fresh, soft and help with my dry skin this Autumn. 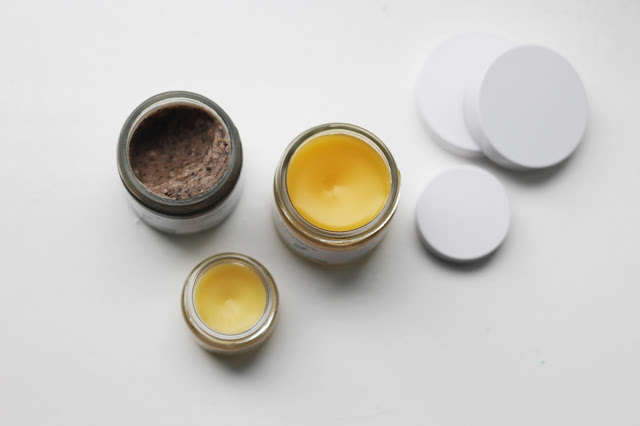 The cleansing balm is suitable for all skin types too. The price range they are, so worth the extra splurge for something like this. The ingredients are fab and they work. I know I have now found a brand that works well with my current skin care routine. i will update in a few more weeks time on the results but so far so good. they look great in my bathroom, simple yet effective packaging. I could talk about these products for ages but I will leave it at this for now, look out for updates. next on my wish list are the face creams. Really glad I came across this post actually! I'm a huge fan of skincare products that are simple, natural, and utilize things that come from the earth. I love how the packaging is so simple as well -- it tells me that they put more money into the quality of the ingredients, I'm sure. 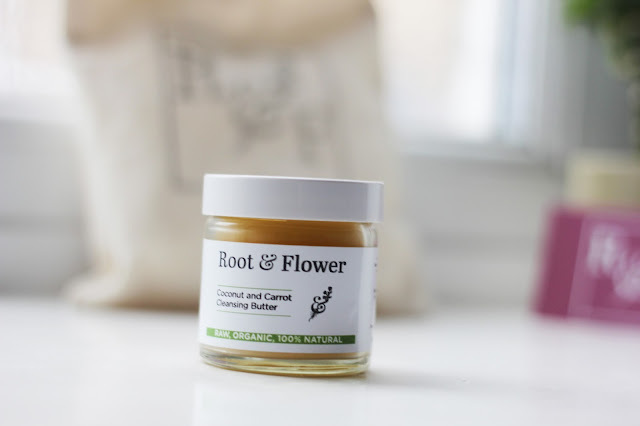 I'm so jealous that Root & Flower contacted you to do a product review, you lucky girl! !